CentrikBlogsBusiness AdvisoryRERA ConsultingRERA: Is refund the only solution for the aggrieved homebuyers? The Real Estate (Regulation and Development) Act, 2016 passed by Parliament to protect the interests of home buyers and also boost investments in the real estate sector. RERA aims to create a more equitable and fair transaction between the seller and the buyer of properties. The act also protects the interest’s homebuyers in the case undue delays in the projects, delay in handing over possession and the interests of stakeholder such as builder. Overall the acts protect the interest of the buyers, seller, promoters, builder etc. however its objective is to protect the interest of consumers in the real estate sector and speedy redressal to their grievances. In Maharashtra, 13 buyers had booked units worth Rs. 7.5 crore each in 65-storey Island City Centre in Dadar constructed by Bombay Realty, in 2012. Wherein 10 buyers wanted to exit from the project. Maha-RERA set aside the plea keeping in the mind the interest of large number of allottees stating that such bulk withdrawal from the project would jeopardise the progress of the project. In furtherance, HRERA has also not given refund in cases where the project is 40% complete and directed the builder to complete the project as soon as possible and handover the possession with delayed interest as per HRERA Rules, 2017. The authorities are of the perspective that purpose of RERA is balance the interest of both buyers and the builder/promoters. They believe that if a refund order is passed it would hamper the construction progress as the money for the refund will have to be taken out from the separate account, which is for the completion of the project and such withdrawal would only slow down the construction. On the contrary the buyers feel that their hard earned money cannot be kept by the builder for indefinite period and they have right to seek refund if the project has been delayed for unreasonable period and without reasonable cause. Section 12 states that if the buyer has made an advance on the basis of information contained and suffer any loss or damage by reason of false or incorrect statement shall be compensated by the promoter or may withdraw from the proposed project by getting entire investment along with interest as may be prescribed. Allottee may withdraw from the project and promoter shall return the amount receive with interest at the rate it is prescribed and if the allottee doesn’t intend to withdraw from the project the compensation may be granted with interest for every month of delay till the handing over of the possession as may be prescribed by the law. According to Niranjan Hiranandani, CMD, president of NAREDCO there are two types of delay reasonable and undue delay. 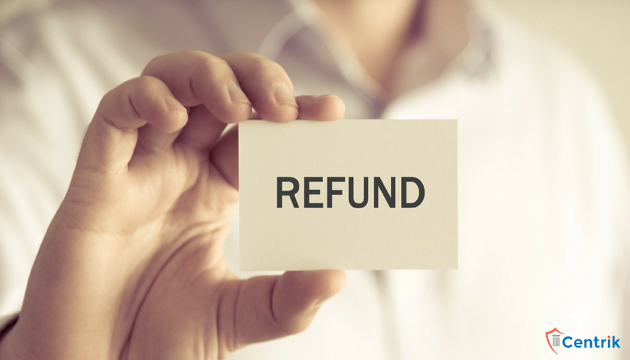 In reasonable delay the compensation will be granted and in undue delay buyer can ask for refund. Undue delay based from building to building example for a two floor building it may mean over a year delay and for 40-50 storey building it may be different. Lastly, if one goes by the plain reading of section 18 a homebuyer is entitled for refund in case a promoter fails to abide by the buyer agreement, however one cannot ignore the fact that such refund may at large affect the homebuyers’ who wish to take possession. So whether a homebuyer is entitled to refund or not is circumstantial and may vary case to case.